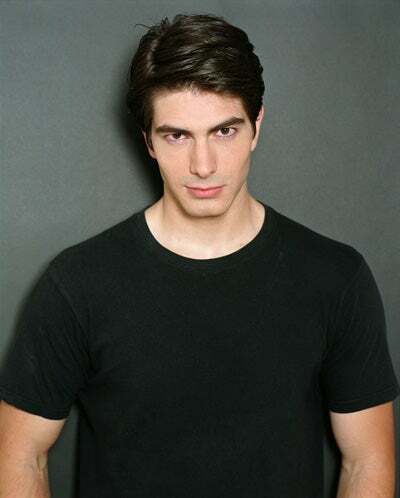 in the forthcoming SUPERMAN movie Brandon Routh playes the role of Clark Kent! he looks like a Reeve wannabe! superman sure has had a makeover in the clothing department. no more lycra. 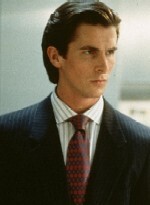 for both this guy and the new batman! i just saw the trailer! its the age of skinny guys! no more bulky superheroes with volume! This guys has "almost" got the width, but not the volume! here is bale, the new batman! he got the advantage of a batman suit that itself already got all the muscle features! im looking foward to both movies. i hope its not a disapointment, but im sure like most movies it will be. me too! but both of them are already classed as "B-movies"! inf.! r u serious. i havnt watched the trailers coz i dont want to have any expectation, or want to be turned off the movie before seeing them. :angry: :angry: i have not seen one good movie lately. btw i dont know if you have seen it, the movie "she hates me" its a spike lee movie featuring one of your faves, ms belluci. But the movie was terrible. well most of the AMERICAN movies she has played in have sucked! i mean those have been blockbusters but still sucked! overall she is just an eyecandy! less to nothing when it comes to acting talent! well in this movie she doesnt take her clothes off. but she is a lesbian daughter of one of a crime bosses from an italian family, who got pregnated by a black guy whom she paid ten thousand to. And this black guys is doing this to make money because he blew the whistle on his company was left unemployed. ekh, do see why i mean this is a bad movie. the thought of it is frustrating. vali as usaual she looked great and played her part fairly good. here is a little review thing on it. I saw the trailer, what a righoone superman!lol aberooye harchi supermane bord! my son is really excited about watching superman. storyboard in superman copy hast ya az comics khodesh copy kardan boss ? nemifahmam cheh esrari daran in kar ro bekonan ! - its length which was badly used! To slow with a rigid progress! Only other half of the movie managed to keep it flowing! ..barely! - plot and character development was very weak! Singer truly disappointed me! The chemistry and the intrigues were as if it was an episode from a TV-series! Flat and dull! They had a clever concept going with his return but blew it! Except for the ”son” twist the rest was recycled stuff! - Casting was faulty! Routh was a puppet! A pale version of the late Reeve’s interpretation of superman! copying each and every single move while contributing with nothing himself! Bosworth played Lois Lane, she was worst! her chemistry didn’t work with any of the actors! There is a supposedly romantic scene which puts you to sleep! The problem was that she was also a pivotal character appearing in most scenes! I am not an expert in this area but... I think superman ( Movie ) is the lamest super hero who has ever been created and has been turned into movie! Probably! It has been all started in a period which Italians had some influences on super hero and comic magazine production! When ever that was! I actually think that the first 2 movies with reeve were among the best film adaptation on a comic book! but as i said this was a ver pale follow up! Ba tavajoh beh tajrobei keh touyeh in chand mah azat daram,midunam keh havaset kheili jameh vaghti yek film ro mibini (Makhsusan comic movie !) . barayeh hamin khialam rahateh keh ba kasi sohbat mikonam keh film ro mishnaseh va la'aghal mituneh chizi behem begeh keh komaki basheh baram barayeh behtar nazar dadan dar rabeteh ba film ! Film ro hanuz nadidam vali mitunam motmaen basham keh special effects vaghean ali boudeh (Thx to tecnology!) . Man ba actor hayeh javun mokhalefati nadaram vali tajrobeh neshun mideh keh young actor,without any experience about movies,nemituneh jalbe tavajoheh hatta 20% mardom ro bekoneh ! ye nigah keh beh Casting Director bekoni mibini keh Roger Mussenden unjast va hamunieh keh casting-e XMen I II ro kardeh ! kheili famous shod az zamani keh casting-e The Godfather: Part III kard va vaghti keh Andy Garcia ro avord keh pesare Don besheh,saro sedaei shod vali badan didim keh moafagh boud ! In adam ba tavajoh beh tajrobehyeh XMen,bayad kasi ro entekhab mikard keh la'aghal,mani keh film ro nadidam hanuz, bekeshuneh kamelan beh tarafeh film ! hala hanuz nemidunam chera injur shod va hatman donbaleh ghazieh ro migiram !